Storage for Straw, Grass and Hay Square Bales (450 Bales of each type). One Large building. 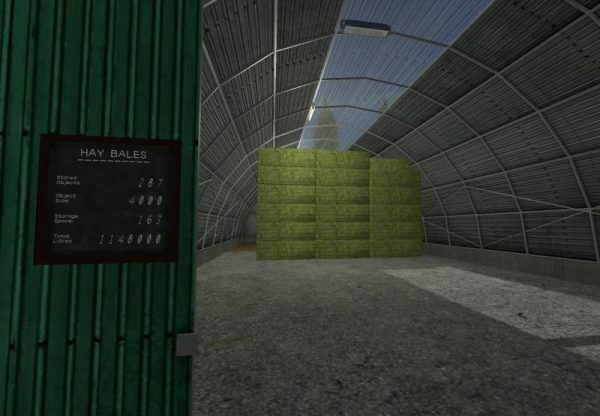 Remake of storage: Bill Brasky, Models/Scripts taken from: CHaWo, Vanquish081, Prom, *TurboStar*, (LS-Modcompany) GtX, Kevink98, Eribus, Blacksheep Modding.